Dark Disciple looks at former Sith apprentice and all around badass, Ventress whose desire for revenge against Count Dooku has resulted in a few failed attempts on his life. Writer Christie Golden uses this goal, sometimes in a roundabout way, to take a deeper look at this extremely interesting character and her origins within the Star Wars universe. Golden also takes a deeper look into the Dark Side of the Force and just what it’s capable of doing to people. Obviously we want to avoid spoiler territory,but suffice it to say that the Jedi Council gets involved and Quinlan Vos gets tangled up with Ventress and things get really crazy. 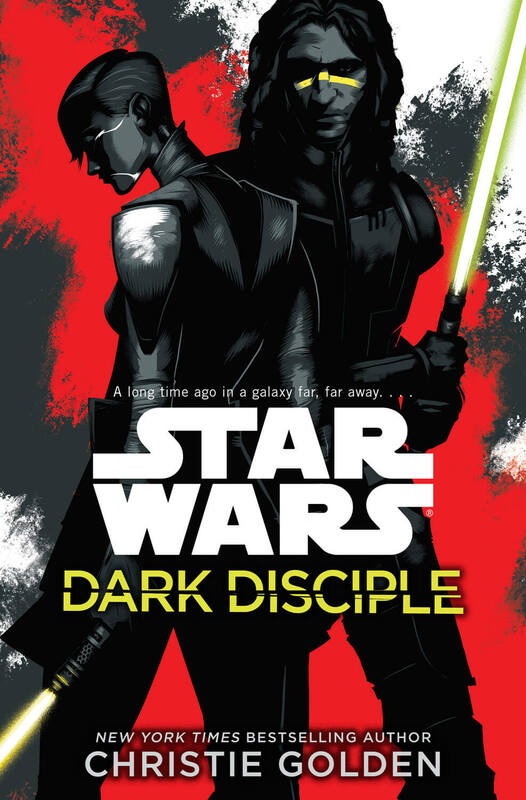 Sure, a lot of it doesn’t come as a big surprise; the ending you can probably figure out part way through and a lot of the smaller twists, as it were, are telegraphed ahead of time, but that doesn’t take away from the fact that Dark Disciple is a damn interesting read. Golden’s look into how the Jedi Council works and the kinds of choices they need to make during the tail end of the Clone Wars, for example, is really interesting and actually one of the main choices they made certainly came as a surprise. It was unlike the Jedi Council, but desperate times certainly call for desperate measures. Christie Golden’s character work, as always, is top notch here; she gets to play with some of the big guns in the Clone Wars universe and does an excellent job growing them as individuals and advancing the story. Sure, she had some unused scripts to work off of, but who knows how complete they really were—especially since they were unused. Dark Disciple really stands on its own two feet and fleshes out some unfinished business from the mega-popular Clone Wars TV show while simultaneously taking a hard look at the Dark Side and the potential effects it can have on people who travel down that path—willingly or otherwise. It was a great read that will easily keep the reader locked between the covers. Thus far, it has been one of the hardest to put down, right up there with Lords of the Sith and Aftermath, and it continues to show that under the Disney banner, Star Wars is more than safe and secure. These people love the material and show it the respect it deserves. Even if you’re not finished with The Clone Wars, pick this book up. It’s just a fantastic Star Wars book. These people love the material and show it the respect it deserves. Even if you’re not finished with The Clone Wars, pick this book up. It’s just a fantastic Star Wars book.